The former Beatles’ member Paul McCartney will offer at least four concerts in the Japanese cities of Osaka and Tokyo, after canceling his tour of the Asian country last May for health reasons, said the promoter. British artist will perform on April 21 at the Osaka Kyocera Dome (center), and 23, 25 and 27 at the Tokyo Dome in Japan's capital. "We are very disappointed not to act last year," said the artist in a statement released by the developer, Kyodo Tokyo, who also gives thanks to his followers for their messages of support and expresses his desire to see them "very soon." The developer added that is still negotiating the possibility that the musician offered a concert in Budokan sports over the capital, where he performed with the legendary British band in 1966. This concert would have a symbolic component for Beatlemaniacs, being the first time that McCartney would go up on that stage act from there with the Beatles in the sixties. 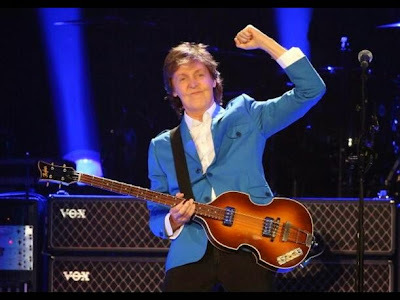 McCartney, 72, canceled last May all his concerts in Asia programmed into his international tour "Out There", which included four performances in Japan and one in Seoul. About 170,000 people then had tickets for four concerts in Japan, and among them some came to pay up to 100,000 yen for a ticket (720 euros, $ 981), according to Japanese media. The official price of tickets for their concerts in China will go from 16,000 yen (about 119 euros / $ 135) to 18,000 yen (about 134 euros / $ 152).